This is a post I wrote for Feministing that I wanted to cross-post here. It’s a bit broader (and less political!) 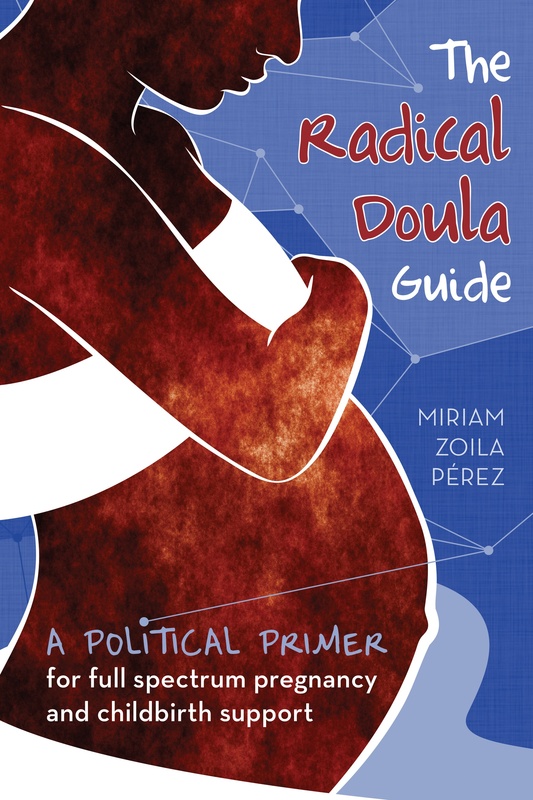 than what I write for Radical Doula because of the audience there. Birth has been making national news lately because of the release of recent data indicating continuing upward trends in maternal mortality and c-section rates. Jessica mentioned the recent California report that exposed the rise in maternal morality in the state. But this problem isn’t just in CA, it’s national. The New York Times reported this week that the US c-section rate has reached an all-time high of 32%. That’s more than 1 in 3 women giving birth via surgery. C-section has been the most common surgical procedure in US hospitals for a while now, and the increases don’t seem to be slowing down. I often get flack for being anti-doctor when I write about birth politics here, but pretty much everyone can get behind a concern about this rate of surgical birth. The risks to c-sections are numerous. It’s major abdominal surgery, with it’s resulting possibilities for complications. It presents problems for subsequent pregnancies, and it can be really difficult to find a hospital that will allow you to try a vaginal birth after a c-section (VBAC), meaning once a c-section, always a c-section. Amnesty International recently released a report entitled Deadly Delivery: The Maternal Health Care Crisis in the US. Amnesty, an organization often focused on highlighting the stark situation of countries around the world, found itself examining what is a crisis among maternal health in the US. The report exposes the fact that the risk of dying during childbirth is greater here than in 40 other countries, putting us at the bottom of the developing world when it comes to maternal mortality. The report highlights many conditions that are contributing to the conditions of maternity care in the US, including discrimination, obstacles to care, lack of health care and insurance, bureaucratic delays to care, shortage of providers, lack of standardized protocols. The NYTimes article touches on some of the reasons why the c-section rate might be increasing, including increases in maternal age, infertility treatments, doctors fears of being sued, policies against VBACs, and increase in inductions. They also mention briefly a rise in voluntary requests for c-sections. While some women may be requesting c-sections, I think that is often used an excuse for the increases that puts the responsibility unfairly on women themselves. Read more about this in my RH Reality Check piece, The Myth of the Elective C-Section. The Amnesty report recommends that the Obama Administration establish an Office of Maternal Health to address this crisis, and make good on decades old promises to address the maternal mortality problem. We need swift action to address this crisis. Every minute one woman dies as a consequence of complications during birth or pregnancy. That’s more than 500,000 women a year, 1 woman every minute of every day. These women do not die of diseases that can’t be treated or complications that can’t be prevented. To quote Mahmoud Fathalla, former president of the International Federation of Obstetricians and Gynecologists, “they die because societies have yet to determine that their lives are worth saving”. The rights of all women and girls matter!